The Panduino is an Arduino compatible development board designed specifically to make breadboarding easier. A bare Panduino printed circuit board. 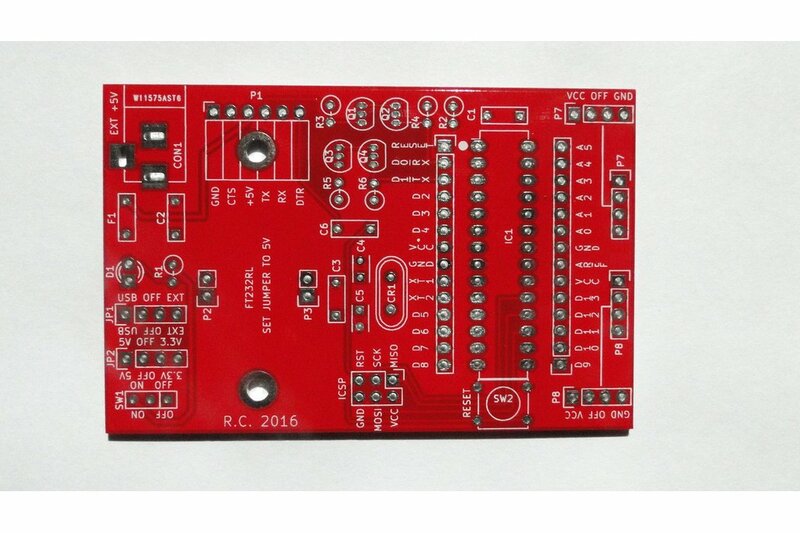 The PCB measures approximately 80mm X 52mm, is silk screened and professionally made. I wanted an Arduino compatible to make breadboarding easier, none existed so I made one. The Panduino has several features that make breadboarding easier and neater. 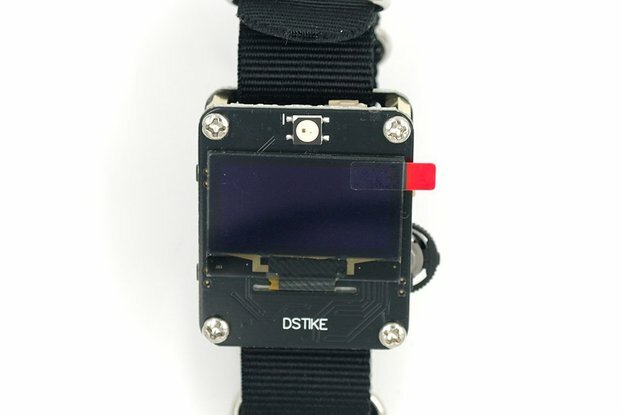 It is powered by +5v from the USB port or an external power supply. 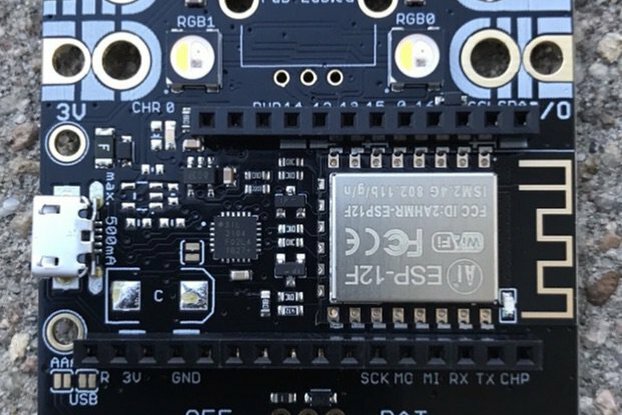 The onboard 3.3V regulator enables the microcontroller to run at 3.3V and eliminates the need for voltage level translators if your interfacing to 3.3V devices. The socketed ATMega makes replacement a snap if you happen to damage it. Jumpers select the power source (USB/EXT), voltage (5V/3.3V) and it also has on ON/OFF power switch and LED. 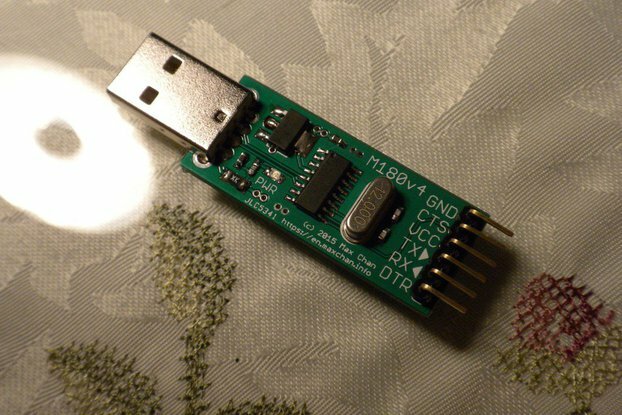 The USB to TTL converter used is a standard low cost FT232RL. The P7 & P8 stackable headers are dual function by using the tines to securely anchor the Panduino to any standard breadboard and can also be used to supply power and ground to the breadboard circuit. All microcontroller pins are accessible via the two 14 position headers. It also can be fitted with an ICSP header and reset pushbutton if desired. 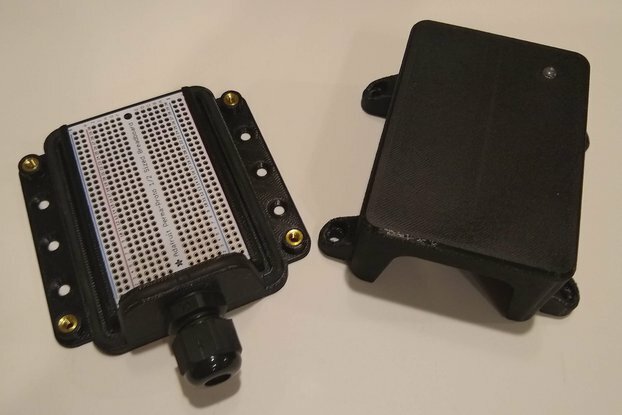 Panduino makes use of readily available and low cost components. Click the documentation link for assembly hints or source code link for the BOM and more.